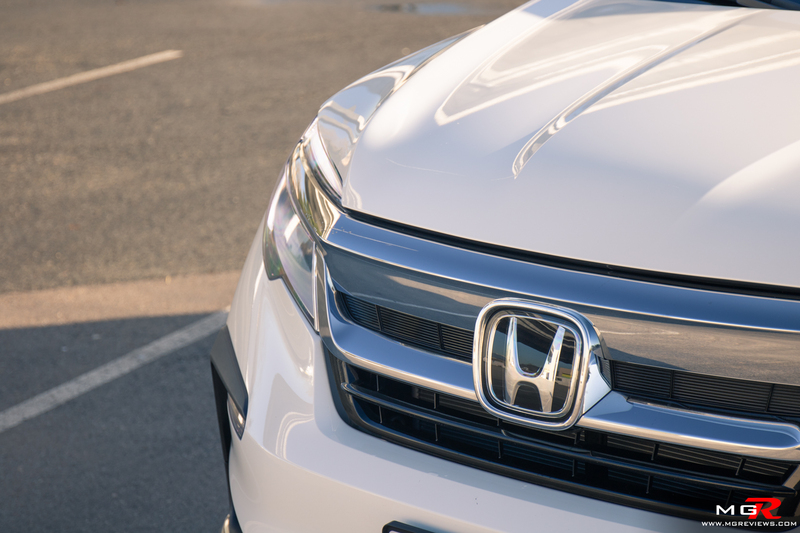 Engine – Although a lot of manufacturers are opting for smaller and turbocharged engines, Honda has continued to refine the V6 engine. 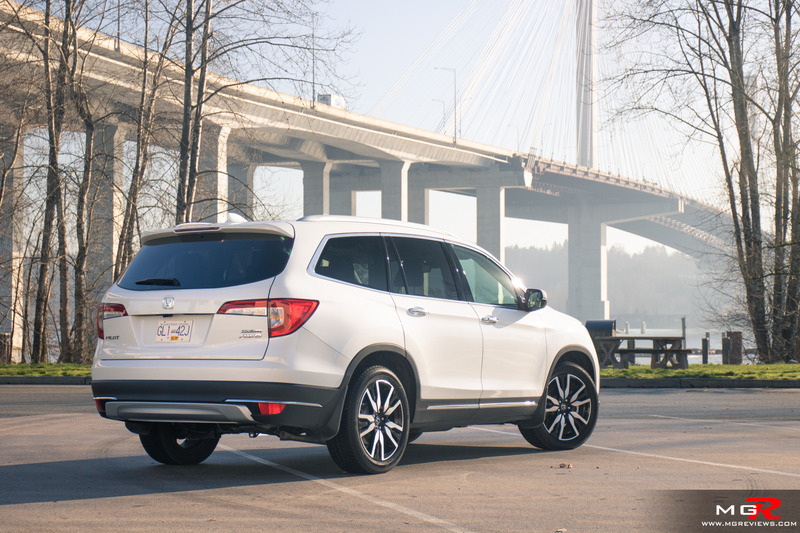 Under the hood of the Pilot is a 3.5L naturally aspirated V6 producing 280 hp and 262 lb-ft of torque. It doesn’t have the same low-end grunt of a turbocharged engine but once the rpms climb, the engine just keeps pulling and pulling. Another benefit to not having a turbocharger is excellent throttle response. 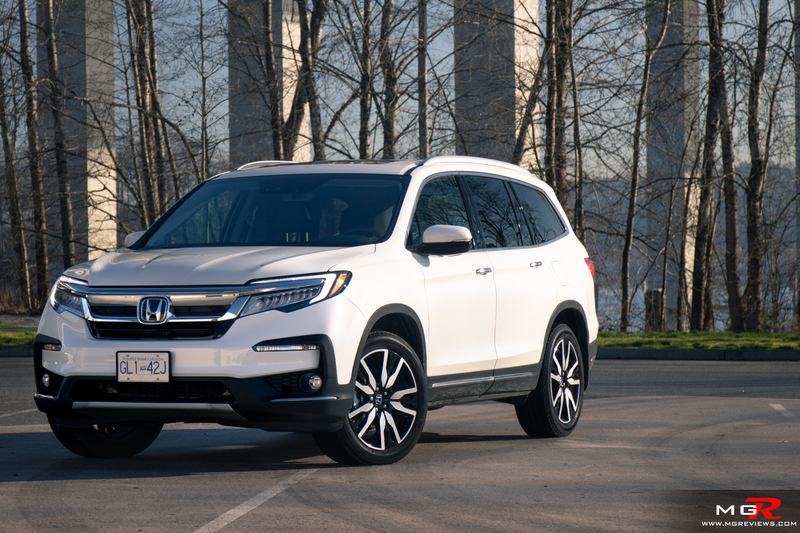 Transmission – This Touring trim Honda Pilot comes equipped with a 9-speed automatic whereas the lower trim levels make due with a 6-speed automatic. 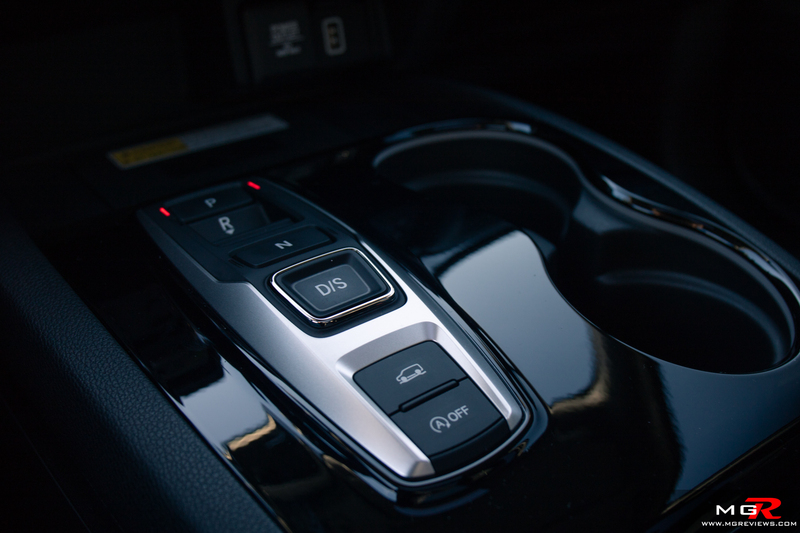 For the most part it’s smooth at shifting gears but if you want to use the steering wheel mounted paddle shifters, don’t expect the response to be quick. 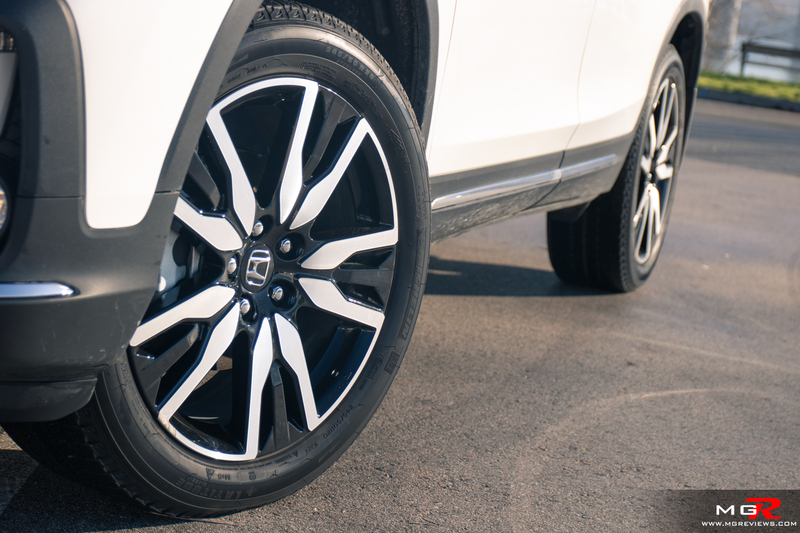 Braking – The brakes are average for an SUV of this size. They provide good stopping power and are easy to modulate in every day traffic. 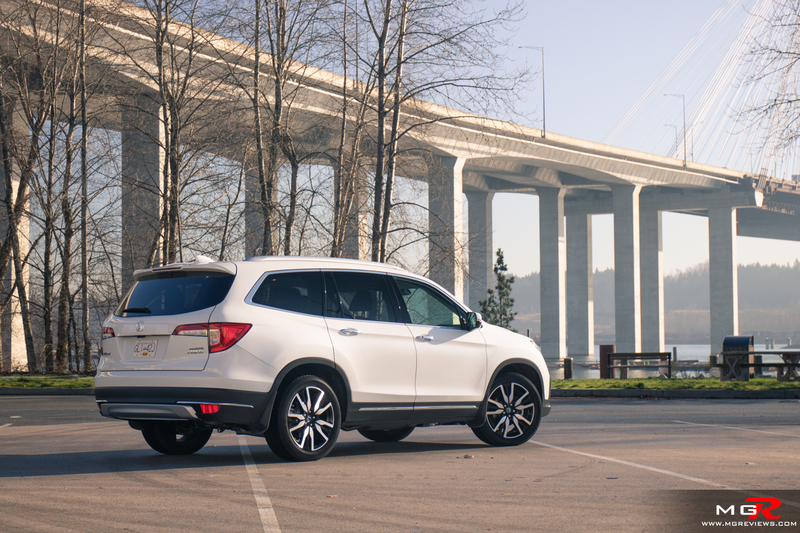 Forward collision alert and emergency automatic braking are standard features across all trim levels. 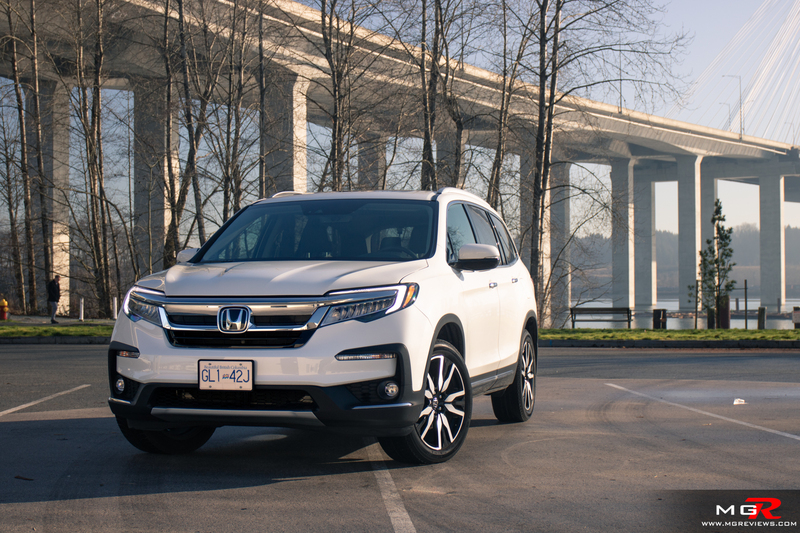 Handling – The Honda Pilot is first and foremost a family SUV and you immediately notice that when getting behind the wheel. Steering feel is vague but responsive. There is no joy in driving through a mountain road with the Pilot unlike one of its competitors, the Mazda CX-9. From a driver’s perspective, the CX-9 and even the Pilot’s brother, the Acura MDX, are better 3-row driver’s SUVs. 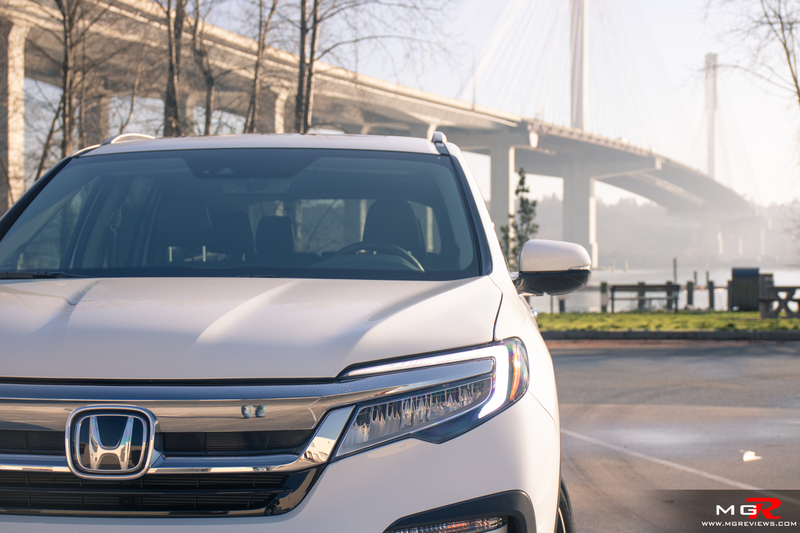 Ride Comfort – As a family focused SUV, the 2019 Honda Pilot is brilliant. 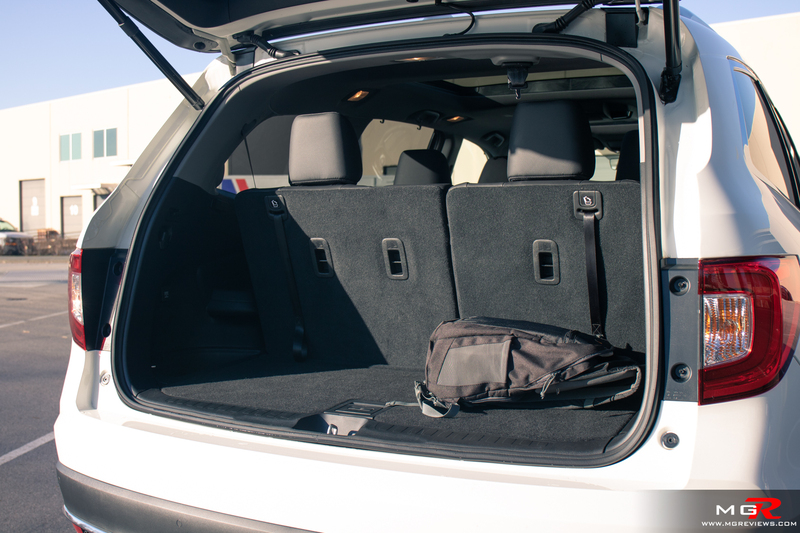 The suspension is set to absorb bumps to provide a comfortable ride whether taking the kids to school or going on a long distance trip. 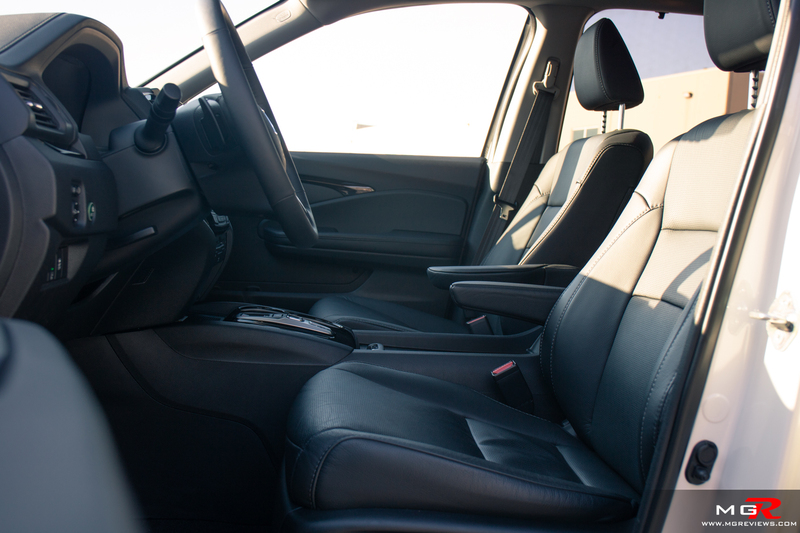 The seats also aid in providing an added level of comfort with supportive cushioning and the second row seats can move forwards or backwards and recline. 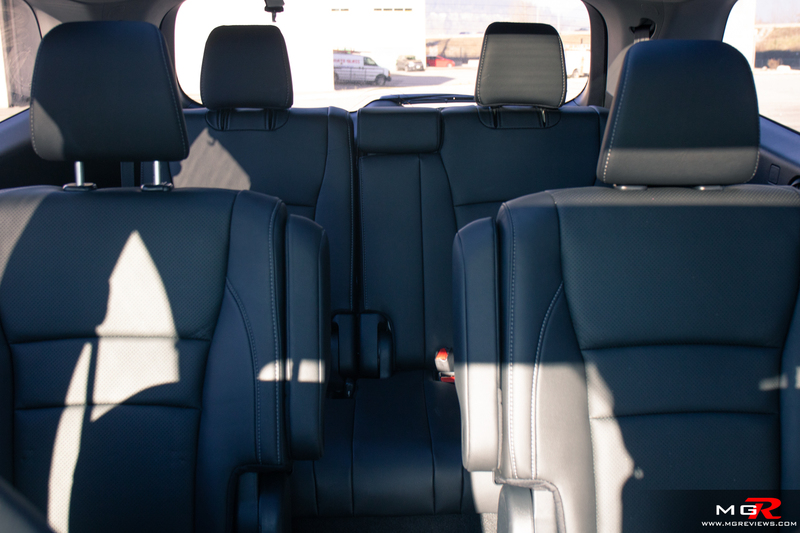 Interior Space – Front and second row passengers have a good amount of room for both leg and head room. 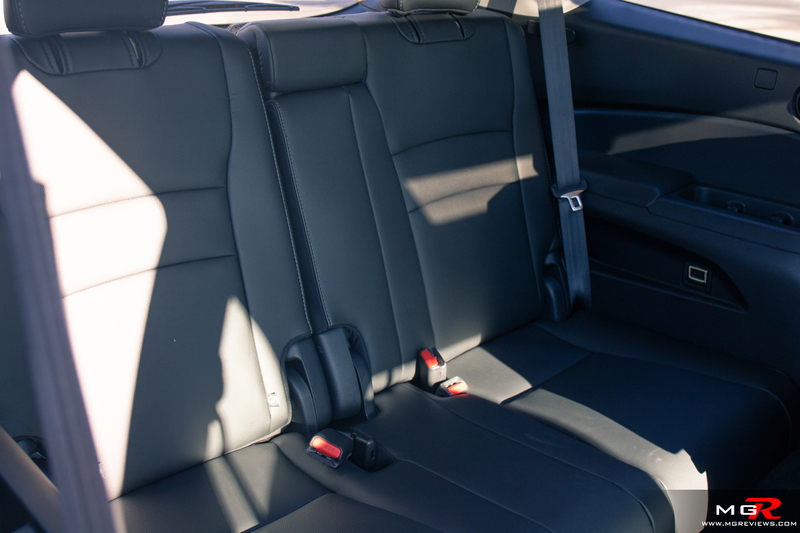 The third row can be a bit tight for adults over 6-feet but it’s a lot better than the seats in the CX-9 for example. 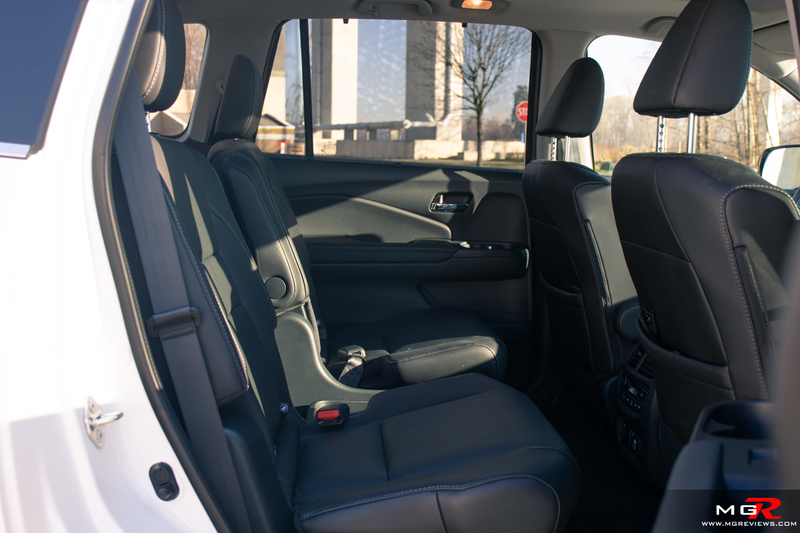 Getting into that third row is also a breeze thanks to a press of a button on the second row seats that automatically fold and slide forward to allow easy access to the back. Best of all, when pulling back the second row seats, they return to the position they were at before. 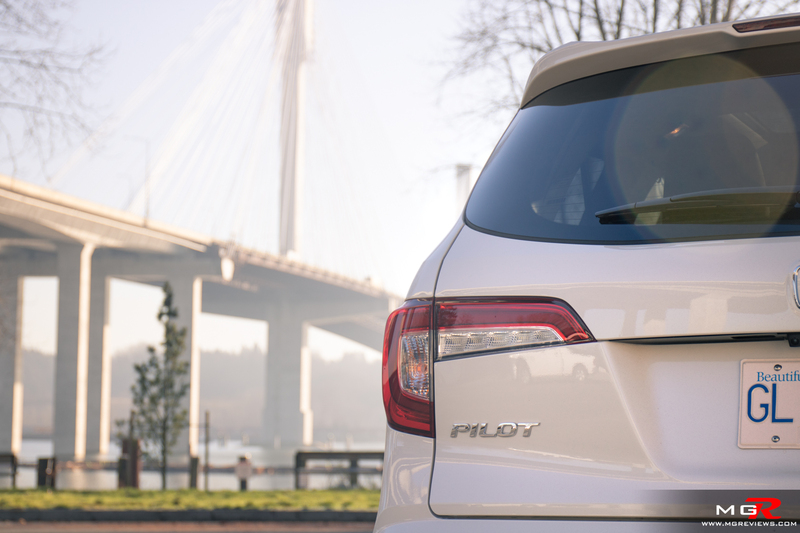 Noise, Vibration, & Harshness – With a V6 engine, the Pilot feels very smooth. Almost electric like. 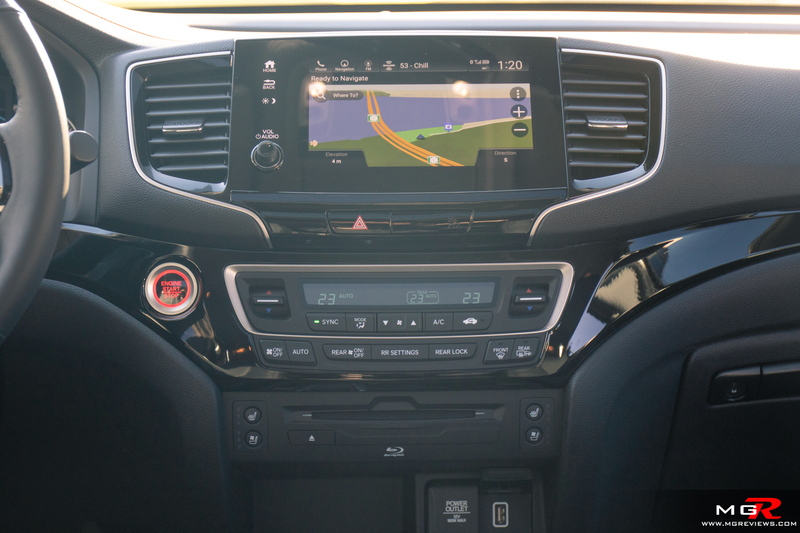 Noises from the engine are well subdued in everyday driving conditions with only when merging onto a highway can you notice any engine noise intruding into the cabin. But even then, you don’t need to shout to your passengers to have a conversation. Build quality is also very good as I did not hear any irritating squeaks or rattles while driving. 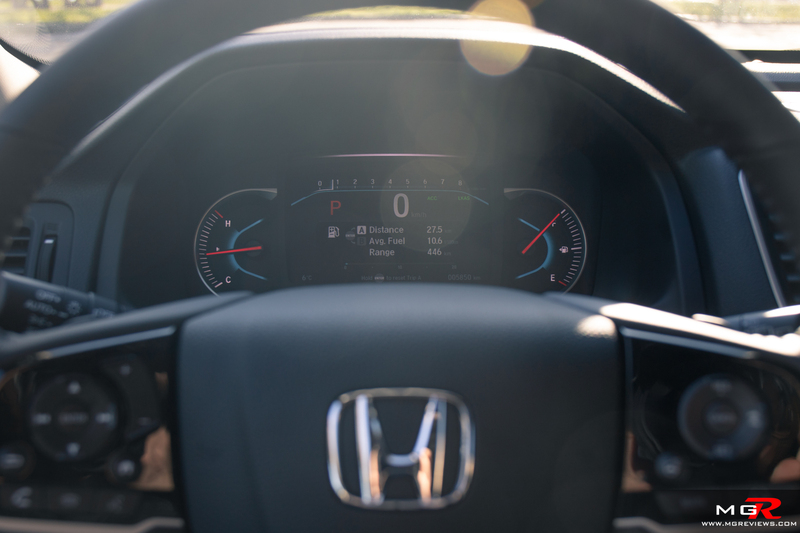 Interior Design – Like most other Honda vehicles, the interior dashboard is well laid out with physical buttons for the important controls such as climate. Best of all, there’s a volume knob! 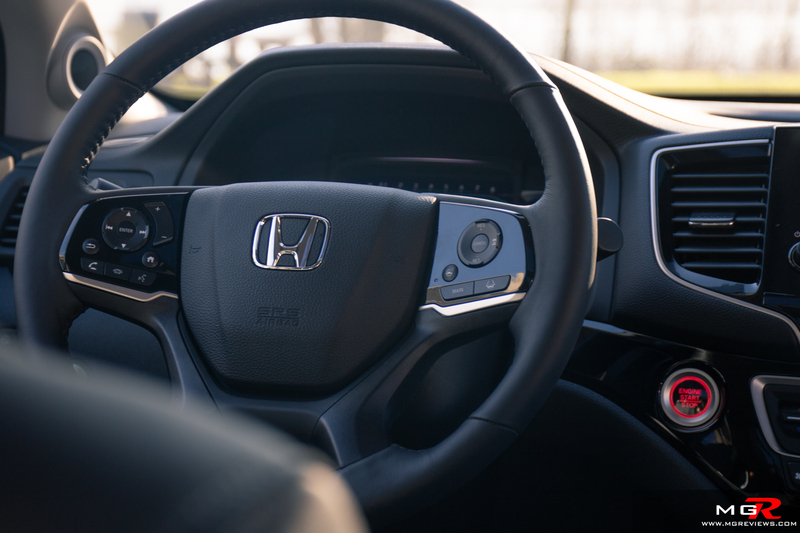 The look of the interior is reminiscent of the Honda Ridgeline but with the steering wheel from the Odyssey. It’s not a crazy looking interior but it’s a functional one and that’s exactly what families want. 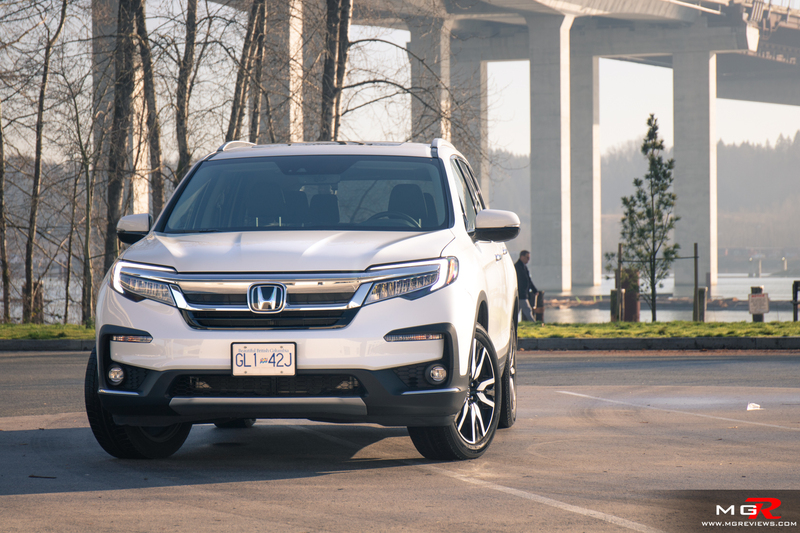 Gadgets – The aforementioned emergency automatic braking and alert are standard across all trim levels in the Pilot as are road departure mitigation and adaptive cruise control. So regardless of which trim you go for, you’re covered. 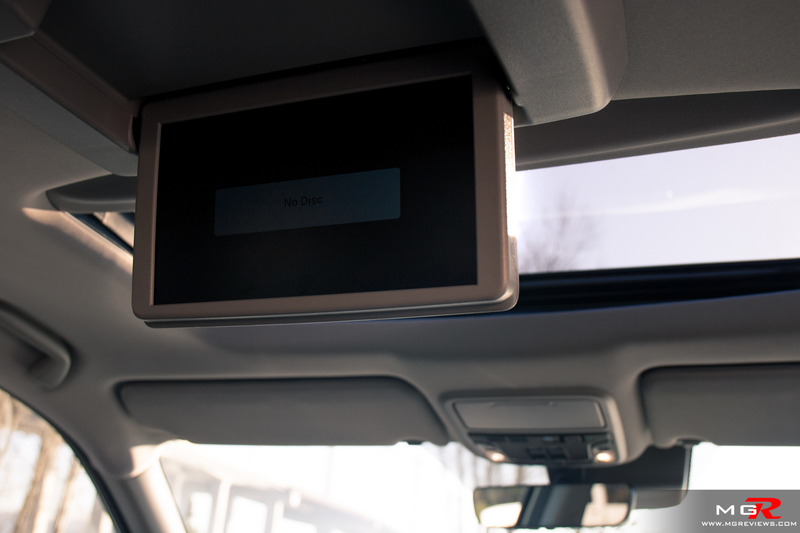 But blind zone sensors are only available on the Touring and Black Edition trims. 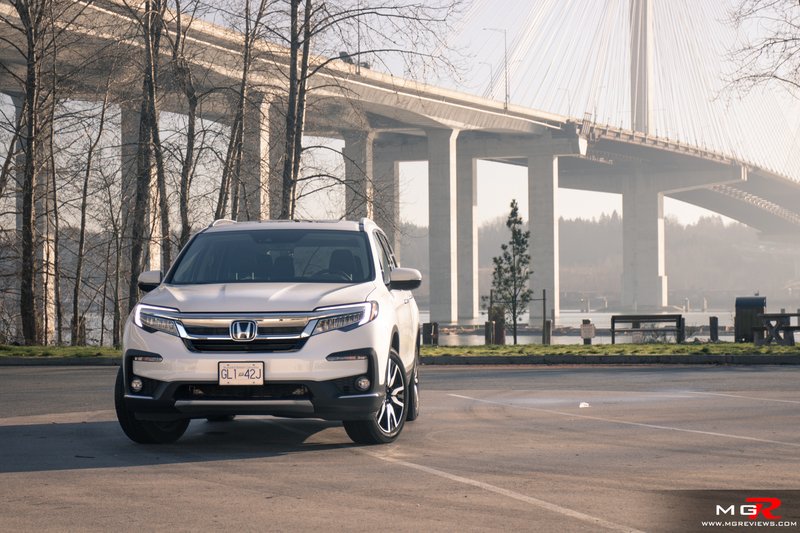 Exterior Design – Exterior styling changes have been minimalistic since this 3rd generation was introduced in 2016. New bumpers, grille, LED headlights are among the changes. It doesn’t quite have the same striking presence of the Mazda CX-9, but its conservative design will be more appealing to more.